In Estonia, the countryside has always meant a lot more than a rural area where some people prefer to live; the countryside determines identities, the national cuisine and family relationships – at least it used to. The Estonian language – often ranked as one of the most difficult languages in the world – does not lack ways to complicate the simple. Words are long and include unimaginable letter combinations that can then be turned into several new words. Take the word maa. It’s a basic-looking word with only three letters, yet it has at least three meanings. Maa means land, encapsulating everything from soil to field. In another context, maa is the planet Earth itself. It also refers to an administrative unit or region. Finally, in the most daily use, maa means countryside. And if someone is about to go to maa, you can be almost certain that, in following days, this someone is going to: 1) dig some soil; 2) indulge on grandma’s apple cake; and 3) come back with trunk full of earthy potatoes. In the recent years, Estonia has suddenly developed an international reputation as a hub for technical innovations, with Skype, TransferWise and several rapidly growing Silicon Valley startups rooting there. And yet, despite the high-speed internet that now covers most of the country, it largely still looks like it used to: vast, endless forests, with here and there an opening for a few acres of farmland. Villages are comprised of ten households, each separated by a quarter-mile of rye field. It wasn’t that long ago when the majority of the population resided in rural areas, managed a farm or were associated with one. Along with the occupation by the Soviet Union came vast industrialisation, and by the 1990ies, 70 per cent of the nation was considered urban. Those statistics, however, have not diminished the connection between the people and the land. Not yet. Farms, commonly built a century or two ago, are still there, and if you are a real Estonian, you have to have a place in countryside that you associate yourself with. In a country spanning 200 miles from one corner to another, the notion of not having been out of city for a long time is somewhat rare. 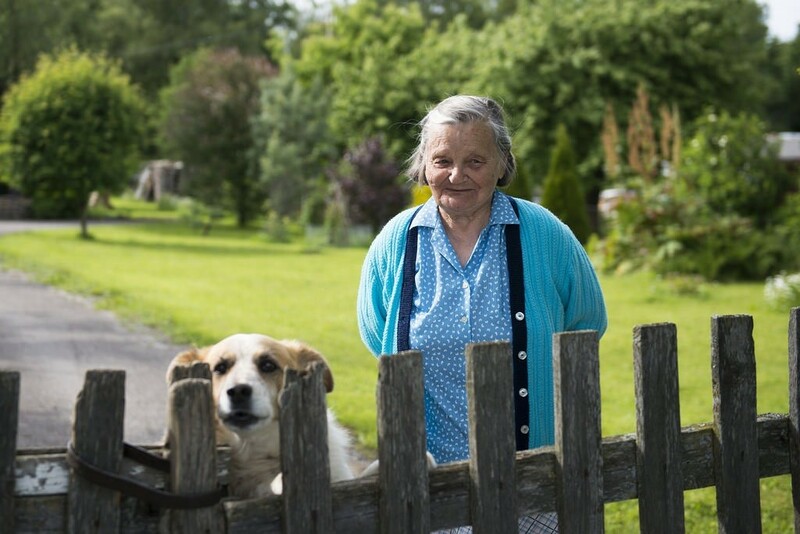 The essential truth for Estonians is that everybody has a grandma. The next most essential statement is that grandma resides in the countryside, keeps a plot of vegetables and a considerable number of apple trees that must be harvested, come fall. Every grandma might not have a cow anymore (many still do, though) but as long as they can, they want to stay where they are, take care of some chickens, grow some potatoes and wait for summer to come – because that’s when the grandchildren arrive. Until the millennial generation, this was the standard model. Kids finished school in June, and no matter their level of urbanisation, the summer took them to the countryside, to grandma’s place. Those summers most likely contained bare feet and dirt roads, endless strawberry furrows and getting lost in the woods. There might’ve been daily lake swims and running across fresh pasture from dawn till dusk. For Estonian kids, a summer at grandma’s place means chopping wood, weeding carrots and picking currants. On occasion, the parents came from the city and joined to help pickle a few hundred jars of cucumbers and mushrooms, harvest a barnful of apples and eventually, to dig up fields of those aforementioned potatoes of existential importance. There are a few days as sacred for the Estonian soul as that of the potato harvest. It looms in mid-September, accompanied by the peak of bright warm fall colours, and the very first frosty mornings. It used to bring together whole villages; one field at a time, the families gathered until every potato in the area was dug up. They were all stored in 100-pound burlap bags and every member of the family – whether in the city or not – could count on feeding on the potatoes for the following winter months. The potato is the basis of everything in grandma’s cooking. In a kitchen with a half-century old wood burning stove, a rag carpet and herbs hanging on the walls, she almost always has a potful of peeled potatoes boiling to softness. The food is simple. It’s a lot of pork, cooked in a cast iron pot on charcoal. Lots of pickled vegetables, preserved fruit, hand-picked mushrooms and everything that the nature allows to stock up on during the warm half of the year. The sauces are abundant on butter and heavy cream – to bring you through a harsh winter, of course. 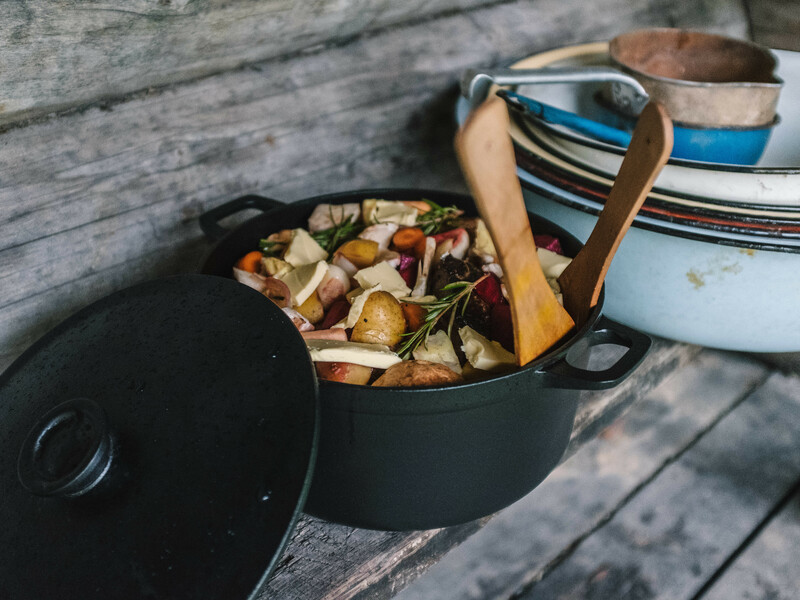 The salads consist of simply potato and herring, and the soups of everything that last fall’s harvest brought from the ground, long cooked in pork broth. This cuisine is far from fine dining, with its peasant-like simplicity and Soviet-era frugality. And yet, for most of Estonians, it is their grandma who defines a good chef in their mind. 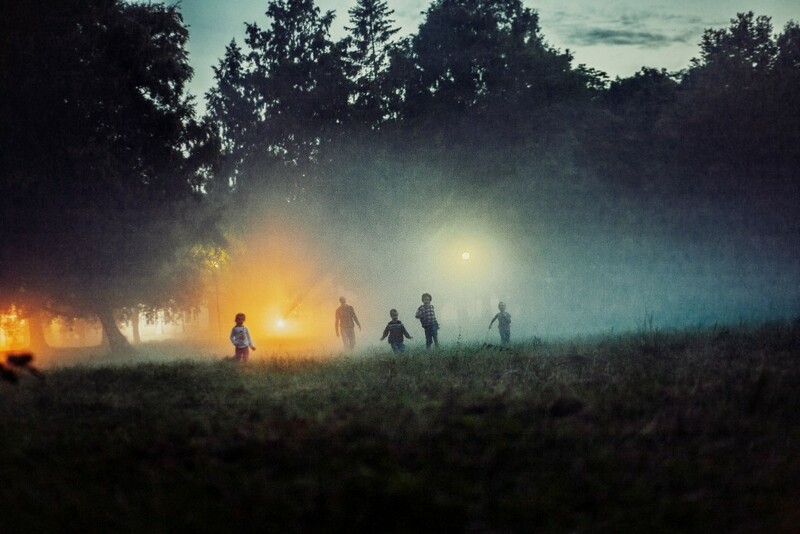 Those countryside summers were surely happening for the generation preceding iPhones. Things are changing rapidly since. The countryside is losing its summer residents to sedentary, technology-driven activities, and its grandmas to aging. The administrative reforms closing the rural post offices, bank branches and village schools do not make it easier to sustain maa as the nation has known it. The cheap vegetables from the Spanish greenhouses and the bread from the industrial factories is available in the stores all year around. You just need to move to city to get it. The ones who stay often do so purely out of stubbornness; this is the only life they know. But the generations are changing. And yet, for some, the connection remains. For some of those tech people who venture out, there might not be a grandma waiting; yet a neighbour from the old times could still provide them with fresh honey or firewood. Maybe the neighbour has a sauna heated up for a visitor, or some birch sap that got collected last spring already waiting in glass bottles. 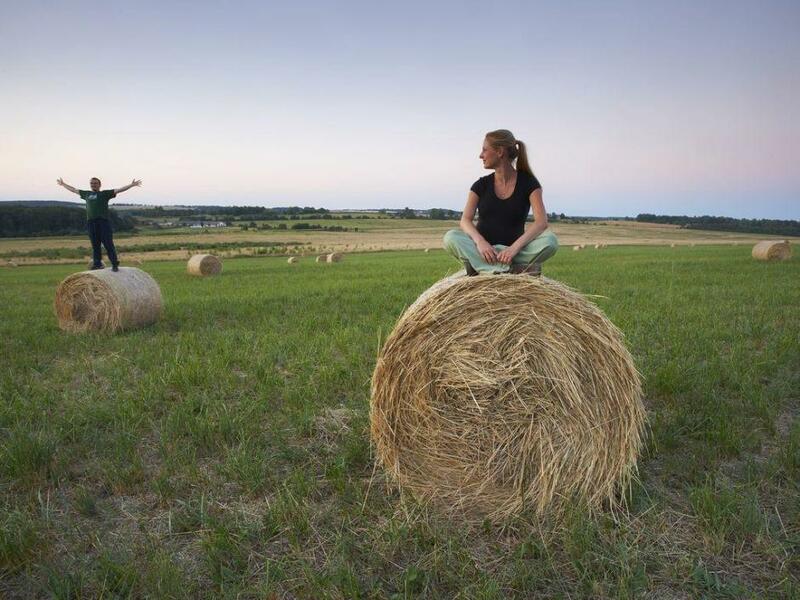 The generation that was brought up on their land and that survived the war largely thanks to the land – they remain more connected to the land than anything else in life. And even today, in the country that is seemingly changing overnight, there are still young people who know how to appreciate it. The cover image is by Sven Zacek (the image is illustrative). 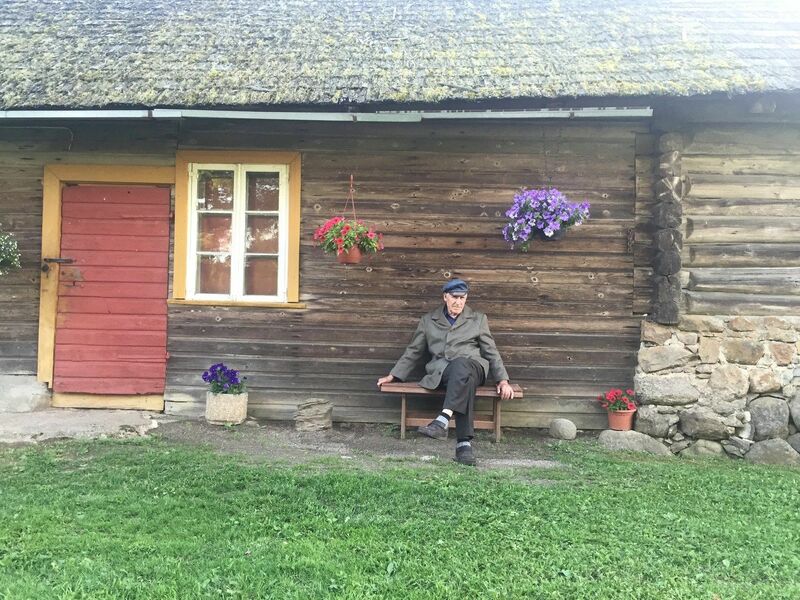 A grandfather with his farmhouse from 19th century, a (still) common view for Estonians. Heleene Tambet was born and raised in Viljandi County, where her parents run a beautiful small sheep farm. She has spent the last five years in the US, most recently obtaining a master’s degree in development economics in San Francisco, CA, and has now started to work as a research analyst for the International Food Policy Research Institute in Washington, DC. Her work and interests revolve around agricultural development and sustainable food production, and one day she wants to return to Estonia and contribute to developments within this field there.